I pulled these out of the alley, and they were sitting in my garage, when I broke one of our kitchen chairs. 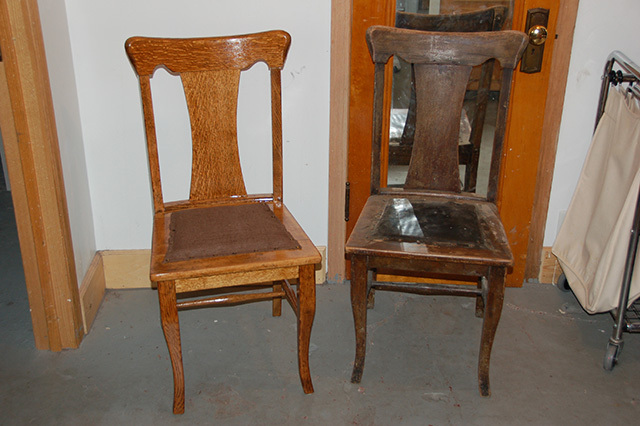 So I pulled these out and started refinishing them. 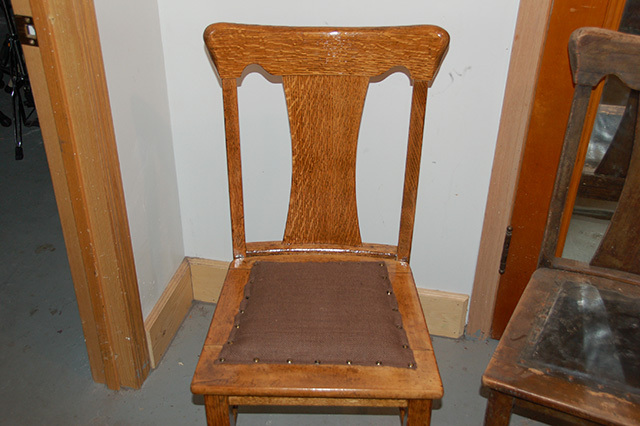 The chairs are mostly oak, the seat frame is a clear hardwood, possibly poplar or maple? 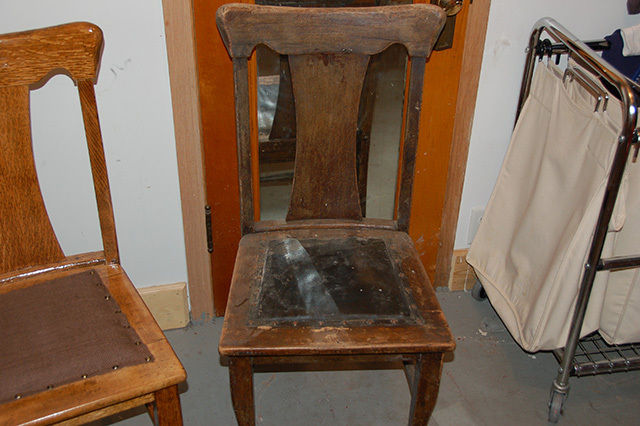 I stripped off all the old varnish and shellac. There were some glaring issues with chunks of wood missing on the seat back that were filled with bondo and stained. A bit of stain overall, a couple of coats of varnish, and some seat covers made from some outdoor grade cloth, and they were back in business. More than likely, the centers of the seats were cane at one point, and covered with some 1/4" plywood and covered with a piece of leather art some point. Nothing special, but not bad for the price.